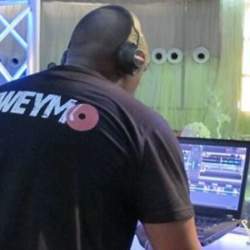 Dj Weymo Nigeria: The most successful and memorable events in Lagos, have been those that have left its guest with lasting memories. The soundtrack to memorable events has always been one of the main factors that has ensured its success. So choosing the right music entertainment for any event should never be overlooked. 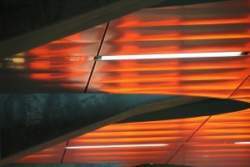 We strive to be highly skilled musical curators capable of creating the perfect atmosphere. To suit the mood and energy of any occasion or event we are contacted to. We offer musical inspiration to compliment your event. Composing the soundtrack to your day. And helping to create a great one of a kind atmosphere for a private celebration or corporate event. As we seamlessly and skilfully blending the new with the old from all music genres. The Dj Weymo Professional Services is a high end mobile dj outfit. Offering a professional mobile disco service at Weddings in Lagos, Nigeria. We cater to weddings, and offer professional mobile discos and DJ entertainment packages to suit most budgets. Furthermore, we are dedicated to making your special occasion one to remember and at a price that reflects true value for money and quality. We are able to cater to events and halls / venues of up to 1000 people. We have a fantastic selection of music, a great PA sound system, disco lighting, and our trademark setups. Use pride ourselves in our kit, and are one of the best equipped dj service operators in Lagos. The company is run by DJ Weymo. Weymo is a DJ, whose musical tastes include the best sounds from the 70â€™s, 80â€™s, 90â€™s, 00â€™s & beyond. Weymo can be found playing and mixing music from any of the following genres, AfroPop, Afro Beat, Hip Hop, Funk, Reggae, Soul, RnB, Disco, House, and many Dance club classics. Visit the website of Dj Weymo Nigeria for more information and bookings. Click here.